Water and electricity do not mix. While this is almost always true, technological advances now enable homeowners to enjoy tub and shower lighting without fear of electrocution. Provided you select the right lighting structure for your shower and leave the installation up to a professional, you can enjoy shower lighting with minimal risks. Shower lights increase visibility in the bathroom, reducing accidents. Most lights installed in residential showers are recessed lights. 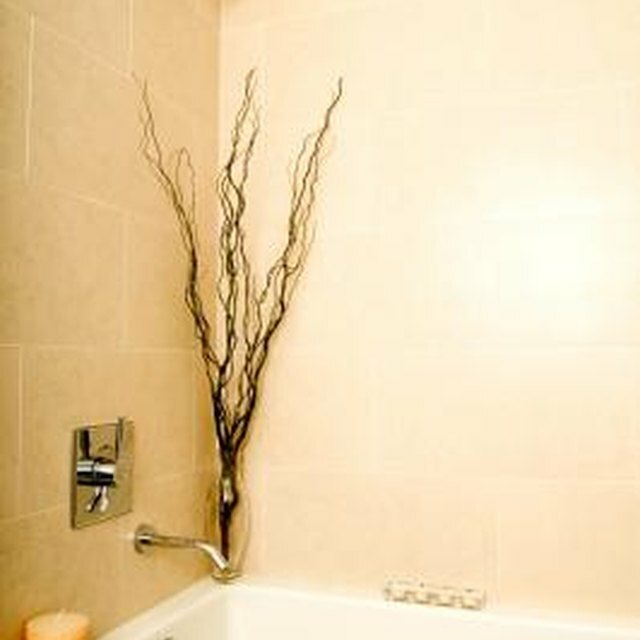 Recessed lights are set within a hollow space in the shower's wall or ceiling. This allows the recessed light's cover to sit flush with the wall. Because recessed lights sit within the wall, you can install a cover for the light. Waterproof plastic light covers with airtight rubber seals prevent water and moisture from entering the light receptacle and making the lights a safety hazard. Light emitting diodes are otherwise known as LED lighting, which is a low-voltage alternative to traditional incandescent lightbulbs. Low voltage lights are safer than higher voltage bulbs. In the event a discharged electrical current reaches you in the shower, low voltage current is less likely to cause severe injury or death than a higher voltage current. In addition, LED bulbs can last 10 years or longer. They also come in a variety of colors to choose from for primary or accent lighting in the shower. No matter how safe a shower lighting system is, installing a ground fault circuit interrupter, or “GFCI,” gives you additional protection from electrical mishaps. A GFCI tracks the flow of current in a given circuit. When an individual shocks himself, the current moves from the circuit through the individual's body to the ground. The GFCI detects the loss of current and responds by immediately deactivating the circuit, stopping the flow of electricity. Consider installing GFCIs in other home circuits, as well, for added protection. Shower lights must remain moisture-free at all times. When you change the lightbulb in a shower light fixture, take care to replace the plastic cover and airtight seal properly. Improperly installing a new bulb could leave your light fixture susceptible to water damage or leave you susceptible to electric shock. The same is true of installing shower lighting. If you do not trust that you can install or replace shower lightbulbs properly, hire a professional. The peace of mind is well worth the nominal cost of the service. Can You Be Shocked By a Water Faucet?